Orange ocher was already used in Prehistory. 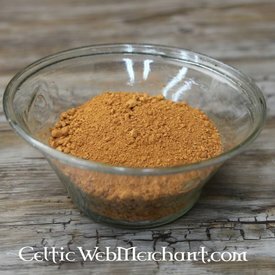 This orange ocher is extracted in the areas of Italy, southern France and Spain. This ocher is ESLCJTFR (top quality, sedimented, lemon undertones, yellow, extra setimented, dark, red).